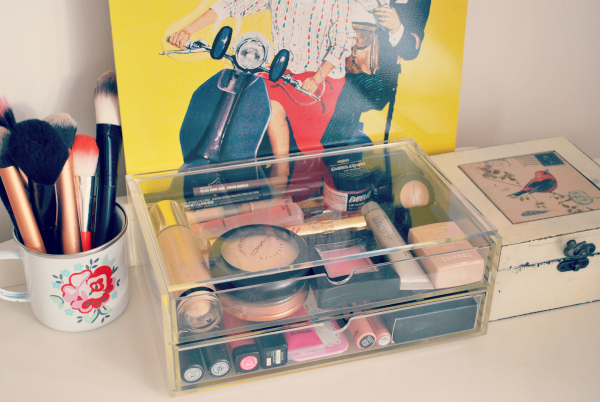 I finally took the plunge and invested in the muji acrylic drawers that are a firm favourite with bloggers and make up addicts! oh boy.. they're just the handiest thing ever and whats not to love about keeping everything tidy? 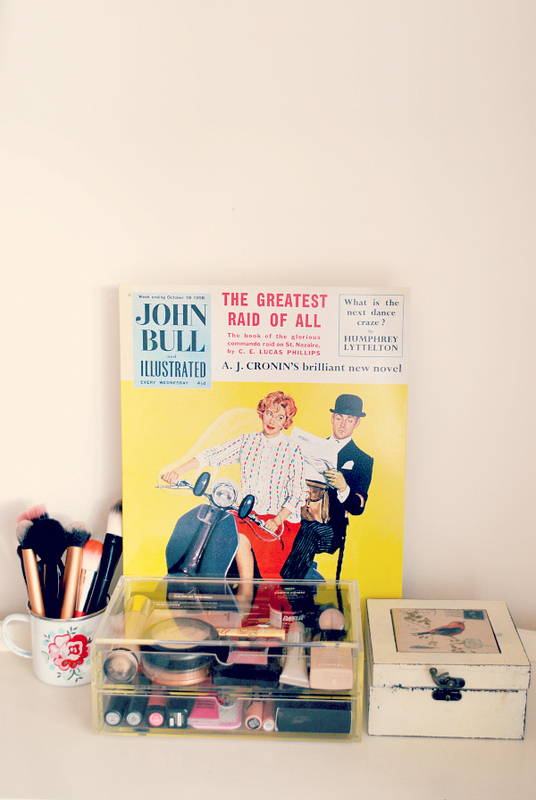 I've filled mine with my everyday make up; the top drawer is for my favourite essentials that I always reach for.. foundation, mac skinfinish powder, mascara, blusher and my eyebrow pencils. 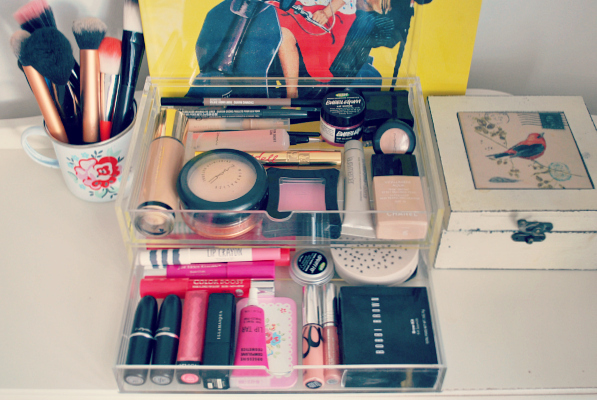 I've filled the second drawer with my most used lip products and some other bits and bobs! I wish I'd bought one of these earlier; the flip top lid makes life easy when I'm scrabbling around for my concealer in the morning! I'm definitely going to get some more of these muji wonders for my skincare and nail products... quite possibly the best £11 I've spent this year! have you got anything similar.. any recommendations? I keep thinking about getting some of these drawers, I think I'm being convinced I need them every time I read a post aha. This is the first time I've seen the flip top version though, that looks so handy, I'd definitely prefer that to just the normal drawers. 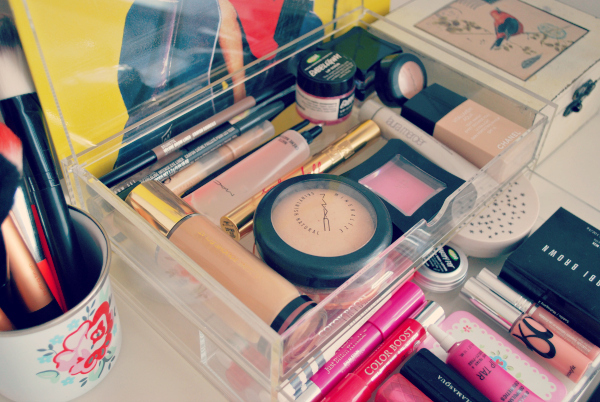 That is super organized and I love how its clear so you can see exactly where everything is!! Where did you get these? I want some of these so bad, I just refuse to buy any until I know if I'm moving house. I didn't realise they had a flip lid at the top, how handy is that!